I'm assuming you have to have at least a little party animal in you if you read my blog/listen to my show/follow me on Twitter, so I'm assuming you'll find these clothes great. And now I'm hooking you up with my new favorite gear! 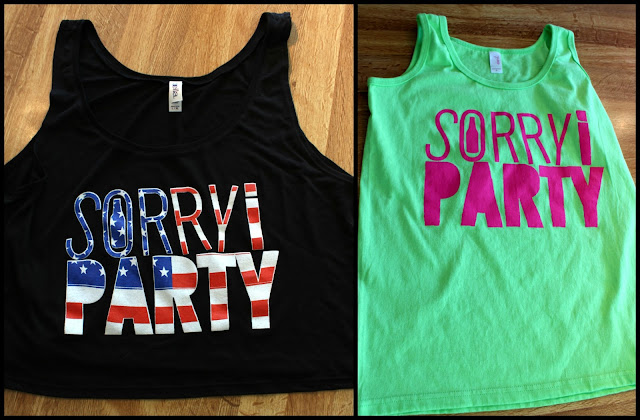 Everything is perfect for partying in the summertime, so get ready to stock up! Enter as many times as you'd like! I will pick winners Wednesday, April 24 at 12noon EST. Make sure you also check out everything they have to offer on their site. I'm totally obsessed.